Daniel Loh: How is the US market this week? How is the US market this week? US Dow Jones 30 has stood above 13000 points but yet STI drops below 3000 points again today. Sad to say, we have to wait a little longer for STI. So Stubborn. If US rises this week amid no bad news, I believe STI still has a strong chance of standing above this figure. Just be patient and pick the right stocks. 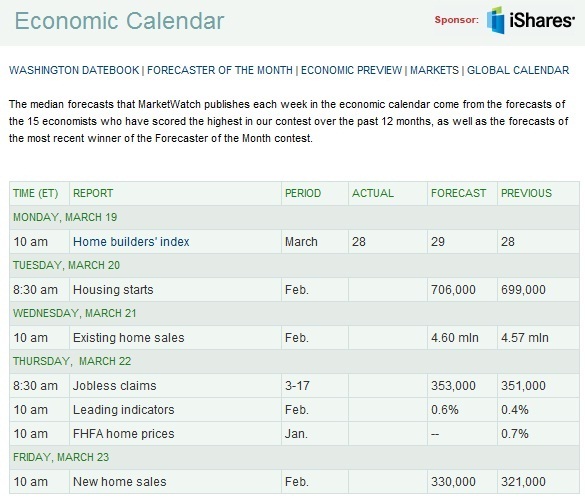 The focus on US this week will be on housing data. Look at the reports coming up. It is Housing from Monday to Friday. Let us see how it is. Housing has reached its bottom recently, so there may be some good figures coming in. The thing is Housing sector is closely linked with Banking sector. One of the major reasons why Banking sector has been on a blistering pace is because Housing recent months has bottomed and start to rise. Banks are able to sell away their assets they hold after the property bubble. Cash is coming into the banks, people are buying houses, new or old. So if housing is ok, I expect the banking sector to continue its run. However be careful that banking sector are in very overbought region. Just in case it breaks down, put your stop loss tight. So much Optimism in US now after Bernanke Talk! Why didn't Dow Jones increase these few days? Singapore Stock Tip: OSIM - BUY or SHORT?? Oil chance of reaching $110 again? 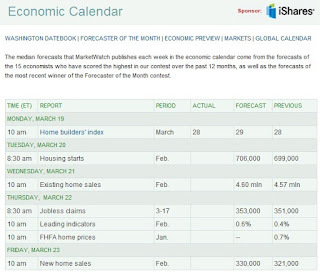 Warren Buffett is Pro housing and Pro stocks now! US Stock Tip: Google Likely to break $620 again.